Chief Executive of Oceanic Bank International Plc. This is to officially inform you that we have verified your contract inheritance file presently on my desk, and I found out that you have not received your payment due to your lack of co-operation and not fulfilling the obligations giving to you in respect to your inheritance payment, and more importantly, the dishonest of the officials you have dealt with, coming up with lies and cheats, we received the report of all you have gone through in the process of receiving your fund, From some of the Banks both international and local, this cases was presented in the just ended International Financial Seminar, and we have been made to release your fund through this process of ATM Card. Secondly, you are hereby advice to stop dealing with some non-officials that claims to be in the bank as this is an illegal act and will have to stop if you so wish to receive your payment immediately. After the board meeting held at our headquarters, we have resolved in finding a solution to your problem, and as you may know, we have arranged your payment through our SWIFT CARD PAYMENT CENTRE in Europe, America and Asia Pacific, which is then instruction given by the Chairman of the world Bank. This card centre will send you an ATM CARD which you will use to withdraw your money in an ATM MACHINE in any part of the world, but the maximum is ($5,000.00) Five thousand Us Dollars per transaction. So, if you like to receive your fund this way, $15,000 usd for you to withdraw for a day and each transaction is $ 5,000usd minimum which you have to withdraw $15,000 usd for one working day also be informed that the total amount in the SWIFT ATM CARD is $4.5Million USD. We shall be expecting to receive your information, and you have to stop any further communication with anybody or office. On this regards, do not hesitate to contact us for more details and direction for the release of your card at your doorstep within the next 72hrs. FOR the second time since it made its debut, Chief Executive of Oceanic Bank International Plc, Dr. (Mrs.) Cecilia Ibru, has been named the African Business Woman of the Year for 2008 by the African Business Intelligence Magazine, African Investor. Ibru won the same award in 2006. Five other nominees as announced by the Magazine in South Africa were: Ms. Philisiwe Buthelezi of the National Empowerment Fund, Mrs. Oyinkan Adewale of Renaissance Group, Ms. Evelyn Mungai of Evelyn College of Design, Dr. Mamphela Ramphele of Circle Capital Ventures, and Mrs. Margaret Mwanakatwe of Barclays Bank Ghana. The Investment Awards, commonly referred to as Africa �s Investment Oscars, is the longest running and most established international investment awards in the whole of African continent. The Ai Investment Awards have gained international acclaim for their pioneering and unique pan-African investment focus, underpinned by the outstanding quality of the entries, winners and supporters. The award gives due recognition to those business leaders whose activities have not only benefited their region and industry, but have also set Africa one step closer to achieving the Millennium Development Goals. Describing the award as victory for African women, Ibru expressed delight at the honour done her and the entire womenfolk while charging African women to rise to the challenge of transforming Africa �s economy. She said African women have displayed their might as they have excelled in all fields of endeavour. While dedicating the award to her husband, Olorogun Michael Ibru, who gave her the opportunity to put her expertise into practice. The Oceanic Bank boss pledged to continue to work harder in her chosen field of endeavour especially in the area of human capital development. She said: �I sincerely thank and dedicate this award to my husband, Olorogun Michael Ibru for giving me the opportunity to put my expertise into practice. Born on March 22, 1946, Dr. Cecilia Ibru received excellent secondary education at Saint Margaret�s Grammar School, Ilesha from 1960 to 1965. She proceeded to University Tutorial College , London from 1967 to 1968 where she obtained a Higher School. On the successful completion of her Secondary education Cecilia Ibru secured admission to read Sociology at the London University . She graduated in 1971 with B.Sc (Honours) degree and thereafter proceeded to the North East London University for a Masters of Philosophy from 1975 to 1977. She also obtained a Certificate of Eligibility from the Council of Legal Education, London . Since assuming office as Managing Director/ Chief Executive Officer, the bank has witnessed tremendous growth in all financial indices. Many distinguished Awards and Honours have been bestowed on Dr. Cecilia on account of her high flying performance. They include: African Banker of the Year, by IC Publications, Publishers of African Business, New Africa, Africa Banker Magazines; Award for Banking Support and Development in Nigeria , Business Africa 2005, Doctor of Management Technology 2005, Federal University of Technology, Owerri. Female Achiever of the year, 2004, City People. Dear Friend, Greeting to you!!! I know that this mail will come to you as a surprise as we never met before. I am the Director in charge of Auditing section of Bank of African(B.O.A), I Hoped that you will not expose or betray this trust and confident that I am about to repose on you for the mutual benefit of our both families. I need your urgent assistance in transferring the sum of Twenty-Two Million and Six Hundred Thousand united state dollars ($22.600 000mUSD) Immediately to your account. The fund has been dormant (in-active) for 10 years in our Bank here without any body coming for it. I want to release the fund to you as the nearest person to our deceased customer (the owner of the account) who died a long with his supposed next of kin in air crash since on February 16, 1998. I don't want the fund to go into our Bank treasury as an abandoned fund, so this is the reason why I contacted you, so that my Bank will release the fund to you as the nearest person to the deceased customer. Please I would like you to keep this proposal as a top secret and delete it if you are not interested. Upon receipt of your reply, I will send you the application form you will fill and send to the bank for transfer of the fund into your bank account and also note that you will have 40% of the above mentioned amount if you agree to help me execute this business. And also 10% had been mapped out for you for the expense you will make in this transaction and 50% is for me. I need you information so that I will send you the application form. Waiting for your urgent call so that we will starts immediately. (B.O.A) BANK OF AFRICA . My name is Mr. John Gelsthorp. I am the accountant of the First Inland Bank Victoria Island Lagos. I am a Nigerian married with two kids. I am writing to solicit your assistance in the noble transfer of US$3,800,000.00 (Three Million, Eight Hundred Thousand US Dollars). This fund is the excess of what my branch in which I am the accountant made as profit during the last year. I have already submitted an approved end of the last year report for the year 2008 and also submitted report of first quarter of this year 2008 to my Head Office here in Lagos and they will never know of this Excess. I have since then, placed this amount of US$3,800,000.00 (Three Million, Eight Hundred Thousand Us Dollars) on a SUSPENCE ACCOUNT without a beneficiary. As an officer of the bank, I cannot be directly connected to this money thus I am impelled to request for your assistance to receive this money into your bank account. I intend to part with 30% of this fund to you while 70% shall be for me. I do need to stress that there are practically no risk involved in this. It is going to be a bank-to-bank transfer to your nominated bank account anywhere you feel safer. All I need from you is to stand as the original depositor of this fund. If you accept this offer, I will appreciate your timely response. You can contact me via my private email address: mrjohn_gelsthorp5@yahoo.com.hk. You can also contact me on my private phone number: 2348083100605. OUAGADOUGOU BURKINA FASO (A.D.B.) WEST AFRICA. I know that this message will come to you as a surprise. I am the Auditing and Accounting section manager with African Development Bank, Ouagadougou Burkina faso. I Hope that you will not expose or betray this trust and confident that I am about to repose on you for the mutual benefit of our both families. I need your urgent assistance in transferring the sum of (Thirty Nine Million Five Hundred Thousand US Dollars only) to your account within 10 or 14 banking days. This money has been dormant for years in our Bank without claim. I want the bank to release the money to you as the nearest person to our deceased customer late Mr.George Small who died along with his supposed next of kin in an air crash since 31st October 1999. I don't want the money to go into government treasury as an abandoned fund. So this is the reason why I am contacting you so that the bank can release the money to you as the next of kin to the deceased customer. Please I would like you to keep this proposal as a top secret and delete it if you are not interested. Upon receipt of your reply, I will give you full details on how the business will be executed and also note that you will have 30% of the above mentioned sum if you agree to handle this business with me. I am expecting your urgent response as soon as you receive my message. MARINA LAGOS NIGERIA, WEST AFRICA. P.O. BOX 55037 FALOMO IKOYI,MARINA LAGOS. NIGERIA OR ANY OF OUR CORRESPONDENT PAYMENT BANKS WORLDWIDE. MEANWHILE, MAY I INFORM YOU THAT A WOMAN CAME TO MY OFFICE FEW DAYS AGO WITH A LETTER OF AUTHORIZATION, CLAIMING TO BE YOUR EPRESENTATIVE. HERE ARE HER INFORMATIONS FOR YOU TO CONFIRM TO THIS OFFICE IF THIS WOMAN IS TRULY FROM YOU OR NOT SO THAT THE FEDERAL GOVERNMENT OF NIGERIA WILL NOT BE HELD RESPONSIBLE FOR PAYING TO A WRONG ACCOUNT. BANK NAME: HSBC BANK USA. AND REMIT THE MONEY INTO ANY OF YOUR NOMINATED BANK ACCOUNT. WITH ANY OTHER OFFICE OR BANKS YOU HAVE BEEN DEALING WITH IN THE PAST. FOR MORE INQUIRIES ON THIS DEVELOPMENT, CALL ME ON TEL: +234805 6442672. Good fortune has blessed you with a name that has planted you into the center of relevance in my life. I would respectfully request that you keep the content of this mail confidential because of its nature and respect the integrity of this information. First of all I'll like to introduce myself and status, I am Thomas Williams, Staff of International Private Banking at HSBC Bank London. I am contacting you concerning a deceased customer and a financial portfolio of $8.5m United state dollars, which he placed under HSBC Bank managements two years ago for turn over on his behalf. As the Chief Operations Officer of the private banking sector, I encouraged the deceased on his arrival to our bank on various growth of fund with prime ratings.The favored route in my advice to him was accessing data's on 6000 traditional stocks and bond managements. Based on my advise, attractive margins,acquired profit and interest stood at over $10m United state dollars,this margin was not the full potential of the fund but he desired low risk guaranteed returns on investment. Early 2004 my client asked that the money be liquidated because of an urgent investment requiring cash payments here in United Kingdom, and that the liquidated fund be deposited in CORPORATE SECURITIES CO, a security consulting firm based in London who are specialist private firm that accepts deposits from high net worth individuals and blue chip corporations that handle valuable products and undertake transactions that need immediate access to cash. This order was given to me in anticipation of his arrival from Norway later that week, this was the last communication we had. Sometimes this year I got a call from CORPORATE SECURITIES CO. informing me of the inactivity of the portfolio, since I was the only one who knew about the deposit, I immediately passed the task of locating my client to the Internal Investigation Department of HSBC, which now revealed that the person who suited his description was declared dead of a Heart attack in Cane, South of France. And in line with banking internal processes for account holders who have passed away, an investigation was meant to be launched to contact a possible surviving NEXT OF KIN to come forward as beneficiary of the fund but unfortunately when my client came patronizing our services, in his bio-data form, no next of kin was listed neither was there a TESTATE. customer service and due process. The security firm has no single idea of what the history or nature of the deposit is, they await instructions to release the deposit to any party that I nominate as the beneficiary of the fund. I am prepared to place you in a position to instruct Corporate Securities Co. to release the deposit to you as the NEXT OF KIN. Kindly let me know your true interest in this pending transaction so as to ascertain the proceeds, and I assure you that I could have the deposit released to you within few days. I implore you to discard this mail if you find no interest in this transaction, and if my offer is of no appeal to you, please dont be vindictive and destructive just delete this message and forget I ever contacted you. Finally, I am sending you this mail without a measure of fear as to what the consequences are, but I know within me that nothing ventured is nothing gained and that success and riches never comes in a platter of gold. This is the one truth I have learnt from my private banking clients. Do not betray my confidence, if we can be of one accord, we should plan a meeting soon. Subject: I NEED YOUR ASSISTANCE. Co-operation to present you to my bank as the next of kin/will beneficiary to my deceased client. (KRUGER MINING (SA) INCORPORATION) in South Africa, he died since 2003. In an air crash along with his family and other passengers on board You can confirm this from the website below. Managers/directors of the bank to approve the funds to you, So if interested forward to me your names,age,country,profession Phone/fax so I can contact you. YOU HAVE NO OTHER PAYMENT TO MAKE EXCEPT THE PROCESSING FEE. YOUR PAYMENT WILL BE THROUGH ELECTRONIC TELEGRAPHIC TRANSFER. NO NEED OF CALLING ANY SOLICITOR/OFFICIAL AGAIN OF MOVING TO FEDERAL MINISTRY OF FINANCE OR ANY OTHER AUTHORITY FOR YOUR PAYMENT. THIS IS NEWLY INTRODUCED SYSTEM OF PAYMENT BY THE CENTRAL BANK OF NIGERIA TO AVOID EXPERIENCES OF INCESSANT FRAUD,ILLEGAL EXTORTION OF MONEY FROM CONTRACTORS AND TO ENHANCE TRANSPARENCY.THIS WILL ALSO HELP YOU NOT TO BE DECEIVED BY ANY PERSON TELLING YOU THAT YOUR FUNDS WILL BE DELIVERED TO YOU AT YOUR DOORSTEP THROUGH A DIPLOMATIC COURIER COMPANY.THIS HAS BEEN WIDELY WARNED IN THE INTERNET BUT PEOPLE ARE STILL FALLING VICTIM. WHEN YOUR FUND IS TRANSMITTED, DR.ERNEST EBI WILL INFORM YOU AND YOU APPLY THE PASSCODE AS DIRECTED AND INSTANTLY, YOUR ACCOUNT WILL BE CREDITED AND YOU MOVE TO YOUR BANK. YOU WILL ONLY APPLY THE PASSCODE WHEN YOU HAVE PAID YOUR PROCESSING FEE BECAUSE FOR NOW, IT IS STILL INVALID UNTIL YOUR FUND IS TRANSMITTED. IF YOU PAY YOUR PROCESSING FEE YOUR PASSCODE WILL BE AUTHENTICATED AND GETS VALID THEREBY TRANSMITTING YOUR FUNDS TO THE NEWLY INTRODUCED SYSTEM OF PAYMENT BY THE CENTRAL BANK OF NIGERIA AND YOU CAN THEN MAKE THE TRANSFER BY YOURSELF USING THE GUIDELINE. YOU CAN TRY THE GUIDELINE AS AN INSTANCE,* WITH YOUR DIGITAL TELEPHONE DIAL OUR BANK ACCESS CODE: 234770909 IT WILL REQUEST YOUR BANK ACCOUNT NUMBER PRESS #, AT A VOICE PROMPT ENTER YOUR PASSCODE AND PRESS # AND YOU WILL BE CREDITED. (THIS WILL AUTOMATICALLY WORK IF YOUR PASSCODE IS VALID) BUT TRY IT NOW AND NOTE THAT PASSCODE IS STILL INVALID.THIS IS VERY SIMPLE JUST CONTACT DR ERNEST EBI AND MAKE SURE YOU KEEP YOUR PASSCODE SECRET TO AVOID INTERCEPTION. CONTACT ME IF THERE IS ANY DELAY FROM THE SO CALLED GENTLEMAN INCHARGE. BE INFORMED THAT SO MANY UNAUTHORIZED INDIVIDUALS DO PARADE THEMSELVES AS OUR OFFICIALS AND IMPOSE BOGUS BILLS ON OUR CONTRACTORS WITH THEIR SYNDICATES HOME AND ABROAD. TAKE PRECAUTIONARY MEASURE HENCEFORTH. YOU HAVE BEEN NOTIFIED. PLEASE CALL. FOR MORE INFORMATION. WE ARE WAITING, HAVE A NICE DAY. ASST.ACCOUNTANT GENERAL OF THE FEDERATION. This is to officially inform you that we have verified your contract file presently on my desk, and I found out that you have not received your payment due to your lack of co-operation and not fulfilling the obligations giving to you in respect to your payment. Secondly, you are hereby advised to stop dealing with some non-officials in the bank and some of Attorney as this is an illegal act and will have to stop if you so wish to receive your payment immediately. After the Board of director's meeting held in Abuja,we have resolved in finding a solution to your problem. We have arranged your payment through our SWIFT CARD PAYMENT CENTRE in Europe,America,Africa and Asia Pacific,This is part of an instruction/mandate passed by the Senate inrespect to overseas contract payment and debt re-scheduling. We will send you an ATM CARD which you will use to withdraw your money via ATM MACHINE in any part of the world,and the maximum daily limit is Fifteen Thousand United States Dollar($15,000.00). don't have to pay back we have already loaded your fund in to the ATM CARD. With all due respect, my name is Mr. Song Lile, I work with the Hang Seng Bank here in Hong Kong. Although you might be apprehensive about my email as we have not met before, my electronic mail to you is to inform you that there is the sum of $19,500,000.00 in my bank �Hang Seng Bank� Hong Kong. However, there are no beneficiaries stated concerning these funds which mean no one would ever come forward to claim it. That is why I ask that we work together so as to have the sum transferred out of my bank to you for our mutual benefit. Your earliest response to this letter will be appreciated since we are about to close for the First Quarter season. I wait to hear from you soonest. HEAD QUARTERS TINUBU SQUARE,MARINA LAGOS NIGERIA. Following the protest of the International Community, The World Bank, IMF and the instruction by the President and Commander in (Umaru Musa Yar�Adua) President Federal Republic of Nigeria, that all outstanding foreign debts especiallynext of kin payment should be released to the beneficiaries forthwith unconditionally. It is with immense pleasure, that I inform you about the board and management of the Central Bank of Nigeria CBN, whom has deemed necessary towards into action to release Outstanding Contract Beneficiary Payment,after the Approval of the payment by the Federal Ministry of Finance (FMF).Contract Number #: AV/NNPC/FGN/MIN/009. On behalf of the staff of Central Bank of Nigeria CBN, and the Federal Government in collaboration with the Federal Ministry Of Finance in charge of Foreign Contract Payments, We Apologies for the delay of your Outstanding Contract Beneficiary Payment. From the records of outstanding contractors due for payment with the Federal Government, your name and company was discovered as next on the list of the outstanding contract Beneficiaries who have not yet received their payments. US$45.200,million dollars (FOURTY FIVE MILLION, TWO HUNDREND united states dollars). 2) Phone, fax and mobile #. 4) Company name, Position and address. 5) Profession, Age and marital status. 6) Working I'd/ Int'l passport. GOVERNOR, CENTRAL BANK OF NIGERIA (CBN). WORLD BANK GROUP AND UNITED NATION ORGANIZATION do hereby give this irrevocable approval order with Release Code: GNC/3480/02/2009 in your favor for your contract entitlement/award winning payment with the UNITED NATION to your nominated bank account. Now you�re new Payment, United nation Approval No; UN5685P, White House Approved No: WH44CV, Reference No.35460021, Allocation No: 674632 Password No: 339331, Pin Code No: 55674 and your Certificate of Merit Payment No: 103, Released Code No: 0763; Immediate Citibank Telex confirmation No: -1114433; Secret Code No: XXTN013, Having received these vital payment number, therefore You are qualified now to received and confirm Your payment from the United Nations immediately within the next 72hrs. As a matter of fact, you are required to Deal and Communicate only with MR ANDREW WOLLEY, DIRECTOR INTERNATIONAL REMMITTANCE CITIBANK OF UNITED KINGDOM, with the help and monitory team from the CITIBANK OF NEW YORK which is our official remitting bank, Committee On Foreign Payment Matters in United Nation, has look up to make sure you receive your fund valued $8.3m. So contact: MR ANDREW WOLLEY on his contact information. Tel/Fax Number: +44 845 280 1328, Email: wolley.andrew68@yahoo.com.hk For immediate release of your contract/inheritance/Award Winning claim Be informed that you are not allowed to correspond with any person or office anymore, You are required to send bellow information for your transfer. NOTE: YOUR PERSONAL CONTACT/COMMUNICATIONCODE WITH CITIBANK IS (511), YOU ARE ADVICE TO SEND YOUR FULL BANKING INFORMATION TO THE CITIBANK OF LONDON INTERNATIONAL REMMITTANCE DIRECTOR HEADED BY MR ANDREW WOLLEY AND MAKE SURE YOU SPEAK WITH HIM, WITH YOUR NEW PAYMENT CODE FOR RELEASE OF YOUR PAYMENT AND SEND HIM ALL YOUR BANKING INFORMATION NOW. CONTACT CODE (511).OFFICER: MR ANDREW WOLLEY.POSITION: DIRECTOR, INTL, AND REMMITTANCE CITIBANK LONDON. (CHAIRMAN COMMITTE ON FOREIGN CONTRACT/AWARD WINING PAYMENT UNITED NATION AND USA GOVERNMENT). divine providence from Almighty Allah. the money to you as the next of kin to the deceased customer. this business with me, kindly reply me imediately. How are you today? Hope all is well. Please be informed that I have decided to contact you for a fund transfer transaction worth the sum of US$ 9,300,000.00 into your reliable bank account as the sole NEXT-OF-KIN to the foreign deceased customer of our bank (an International Billionaire French Businessman) who was killed with his entire family by PLANE-CRASH in Central England atmost 3 years ago. Since his death occured, no body have show up as his next of kin for the claim because the account is untraceable. Upon the investigation I carried out from his records, I found out that his foreign business consultant who would have trace the account died earlier before the deceased. Therefore, this is a confidential and sealed deal. For the success of this transaction, you should apply and act as the only existing NEXT-OF-KIN to the deceased which our bank will replace the deceased account information through proper documentation in position of your own account. 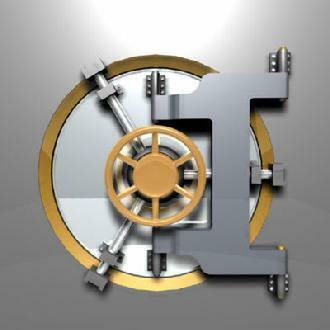 This transaction is risk-free, it will never harm your good reputation in your society because no one can trace the account, and on the instant of the transfer of the fund into your account, the chapter of this transaction will be closed entirely. Note that in a business of this nature, the bank dont want to know your difference between the deceased country, religion or believe because our bank inheritance law is against that. So, it is a preference for us achieve this success without any problem. Please note down that once the fund get transferred into your account, you will take 39% of the total sum while the rest will be for me as I will arrange myself down to your country to take my share. I need your urgent response and include your private telephone/mobile numbers for easy communication.Please reply if you can be trusted in this deal. I have registered your compensation Bank draft and I took it to the issuers bank FINANCIAL BANK PLC to confirm it, then the Manager of the Bank MR. BENARD UGO told me that before the Draft will get to you it will expire on the way and if it expires it will become useless so He advised me to convert the Draft of($950.000.00) into cash and He assisted me and packaged the funds into the strong iron box and deposit the box in IBTC TRUST AND SECURITIES COMPANY BENIN to deliver it to you. I did it as he advised me because he is a banker he knows the durability of any foreign check or draft. Note that I deposited the strong iron box in the IBTC TRUST AND SECURITIE COMPANY BENIN as Family valuable and Gift items. This is for security reasons and for the safety of your money. Be informed that the IBTC TRUST AND SECURITIES officials did not know the real content of the box except you and I and you have to make sure you don't disclose the real content of the box to them once you resume communication with IBTC TRUST AND SECURITIES. Incase you are being asked about the content of the box you are to tell them the box contains Family valuable and Gift items.This is the registration Number of your Package (FED/122P/IBTC/2009 ZIP CODE:0113388). I want you to contact the Company immediately with the following information below. Though I gave them your information but you need to reconfirm it to them. Below is the require infomation you need to give them now immediately you contact them. You have to make sure you forward the above information to the Company to enable them commence arrangement towards delivering your box of money worth ($950.000.00) immediately. Note that the delivery fee of your consignment box has been paid and the only amount you will be needed to send to IBTC TRUST SECURITIES is ($145USD) which will be used to obtain your shipment vital Airway Bill at the Benin-republic Airport so that your consignment can be registered and dispatched to you. Dr. George Aku Director General. Kindly contact the company immediately you receive this e-mail so that your package will be scheduled to depart to your location in the next 24hours. Get back to me as soon as you receive your package from the company. This letter is written to you in order to change your life from today. I am Mr Barry Charles the Director, International Remittance Department of this Bank, my Boss, Mr. Jacobs M. Ajekigbe, the Managing Director/CEO of this Bank is now on compulsory leave and all power have been vested on me to make all international payments. Also, due to reported cases of corrupt practices in other Nigeria Banks including the Central Bank of Nigeria, the Federal Government has revoked/cancelled all power vested on those Banks and have appointed our Bank (First Bank of Nigeria) to make all foreign payments. Your fund has been in this bank for many years unclaimed because my boss Mr. Jacobs Ajekigbe have refused to tell you the truth on how to claim your fund this is because he has been using the interest accumulated from your fund every year to enrich himself without your knowledge. I want to help you pull out this fund to your bank account using the easiest and the quickest method, which have not been made known to you before. By this method, you will open a domiciliary account with this Bank (First Bank of <?xml:namespace prefix = st1 ns = "urn:schemas-microsoft-com:office:smarttags" />Nigeria ), your fund would be lodged into this disciplinary account and your fund will be paid in directly to any Bank of your choice. After the transfer, you will confirm the fund in your Bank account within 5hours the same day. No Cost of Transfer (COT) and no stoppage from any Government departments as the transfer will be done within the bank alone and it is very safe. The method which was introduced to you before is the Telegraphic Transfer (TT) for which confirmation was 48hrs, because of the time factor, petitions could come from various organizations stopping your payment and asking you to pay huge fee which would be difficult for you to pay so that they can benefit from the huge interest your fund generates while still in the Bank. I want to assist you receive your fund before my boss resumes office. You have to follow up and work with me now, so keep this very confidential because of fraudsters and impostors who go about presenting various bank accounts in order to divert another beneficiary's fund. Confirm to me through this e-mail address,() your present/valid account co-ordinates and Amount to be claimed so that I do not transfer your fund to the wrong Bank Account. Re:CONFIRMATION OF YOUR DOMICILIARY ACCOUNT. CONFIRMATION OF YOUR DOMICILIARY ACCOUNT. Following my last mail to you, wherein I confirmed to you that your Domiciliary Account was under processing, I hereby wish to tell you that your domiciliary account has been processed and completed today. ADDRESS: <?xml:namespace prefix = st1 ns = "urn:schemas-microsoft-com:office:smarttags" />LAGOS NIGERIA. Finally, note that your total sum of $10.5M plus the $480 activation fee will be released to you and shall reflect and confirm into your nominated bank account in your country 5hours the same day your Domiciliary Account is activated without you paying bank transfer charge and taxes to any Government Agencies. As stated earlier, the activation fee will still remain your money because it will be left in your domiciliary account which you will be entitled to claim along side your total amount when finally releases to you. Take note. Let me start by introducing myself. I am Mr. SONG LI LE director of operations of the Hang Seng Bank Ltd. I have an obscured business suggestion for you. Before the U.S and Iraqi war our client Colonel Sadiq Uday who was with the Iraqi forces and also businessman made a numbered fixed deposit for 18 calendar months, with a value of Nineteen millions Five Hundred Thousand United State Dollars only in my branch. Upon maturity several notices was sent to him, even during the war which began in 2003. After further investigation it was also discovered that Colonel Sadiq Uday did not declare any next of kin in his official papers including the paper work of his bank deposit. And he also confided in me the last time he was at my office that no one except me knew of his deposit in my bank. So, Nineteen millions Five Hundred Thousand United State Dollars is still lying in my bank and no one will ever come forward to claim it. What bothers me most is that according to the laws of my country at the expiration 6 years the funds will revert to the ownership of the Hong Kong Government if nobody applies to claim the funds. Against this backdrop, my suggestion to you is that I will like you as a foreigner to stand as the next of kin to Colonel Sadiq Uday so that you will be able to receive his funds. I want you to know that I have had everything planned out so that we shall come out successful. I have an attorney that will prepare the necessary document that will back you up as the next of kin to Colonel Sadiq Uday, all that is required from you at this stage is for you to provide me with your Full Names and Address so that the attorney can commence his job. After you have been made the next of kin, the attorney will also fill in for claims on your behalf and secure the necessary approval and of probate in your favour for the move of the funds to an account that will be provided by you. There is no risk involved at all in this matter, as we are going to adopt a legalized method and the attorney will prepare all the necessary documents. Please endeavor to observe utmost discretion in all matters concerning this issue. Once the funds have been transferred to your nominated bank account we shall then share in the ratio of 60% for me, 40% for you. Re: Transfer of Funds to your nominated account. This is to inform you that our finance company has been mandated by the Presidency of the Federal Republic of Nigeria to remit your outstanding Funding that is in a suspense deposit account here. We shall remit your fund in four (4) instrumental phases. The management will also like to inform you that our remittance department has been receiving different request from different individuals/companies for the claims to the funds and a change to the beneficiary status and account details. Recently there was a formal request by Mr. Edward C. Ringer of Ringer Company, <?xml:namespace prefix = st1 ns = "urn:schemas-microsoft-com:office:smarttags" />Tampa Bay , Florida for the change of your account to Terrace Bank through some individuals claiming to be your local representatives here in Nigeria . The management will like you to send the following information for the successful transfer of your funds and also to avoid the transfer of your funds into a different nominated account and wrong beneficiary. 2) Your banking details where your funds will be transferred. 3) Your telephone and fax number. You are required to get in touch with Mrs.Mary Stanford who is your payment officer on (stanfordmary201@gmail.com) for further instructions on how your funds will be transferred. There is an option if you want the funds to be brought to you in your country then you can advise your payment officer on that issue. Be advised that you have fulfilled all financial obligations required from you to get your funds transferred into your account. interest to cut off all communications between you and your local representatives to avoid the wrongful transfer of your funds into another Persons account. The Management will like to apologize on behalf on the Federal Government of Nigeria for the long delay of the transfer of your funds into your account. On receipt of your mail to the Payment officer your funds will be transferred into your account Under 10 working days. You are advised to adhere to this instruction. I know that this message will come to you as a surprise. I am the Auditing and Accounting section manager with African Development Bank, Ouagadougou Burkina faso . I Hope that you will not expose or betray this trust and confident that I am about to repose on you for the mutual benefit of our both families. I need your urgent assistance in transferring the sum of ($39.5)million to your account within 10 or 14 banking days. This money has been dormant for years in our Bank without claim. I want the bank to release the money to you as the nearest person to our deceased customer late Mr. George Small who died along with his supposed next of kin in an air crash since 31st October 1999. Group Finance Director, Treasury & Insight. HBOS <?xml:namespace prefix = st1 ns = "urn:schemas-microsoft-com:office:smarttags" />United Kingdom. I am Mr. Andy Hornby, I personally discovered a dormant account with a total sum of $75,000,000.00 [SEVENTY FIVE MILLION UNITED STATE DOLLARS] during our Bank's Annual Year Account Auditing. The owner of this dormant account died on 4th Jan 2002. Since the death of the deceased, nobody has operated in this account till date. Moreover, this account has NO BENEFICIARY attached to it. Definitely, this fund will be confiscated by our BANKING CODE OF ETHICS if it remains dormant for a period of  years without any claims. In this regard, I earnestly need your full cooperation in transferring this dormant fund out of our bank to avoid confiscating this fund. I will then fly to meet you in your home destination for sharing, thereafter we jointly transfer the remaining balance of $70,000,000.00 for magnitude investments. If you are willing to cooperate in this project, Call me for more details. RE: REVIEW AND TRANSFER OF FUNDS. We wish to inform you that our bank is presently processing the release of your payment voucher for the transfer of your funds in conjunction with the Bank of International Settlement report. We are fully aware that that you have spent a lot of money and the Auditor's reports shows that you have been ripped off several times for the transfer of your funds, which has been delayed by some dubious officials that dealt with you in the past with their bureaucracies and rigorous payment approvals procedures. Investigations are presently going on to curb their activities and bring them all to justice within the shortest possible time. We therefore advice that you stop further communication with any correspondence outside this office till we transfer the funds into your bank account since you do not have to pay any money or transfer charges to receive your funds as you have met up with the whole funds transfer requirements. In line with this new regulations, final approval has been given to our bank by the Financial Service Authority to transfer your funds in small parts starting with the first installmental amount of US$850,000.00 to enable you meet up with your financial obligations to your creditors. Should you follow our directives, this first installmental amount of US$850,000.00 will be credited and confirm in your bank account within five (5) working days. Kindly re-confirm your telephone number and acknowledge the receipt of this message so that we can update our records for the transfer of the first installmental amount of US$850,000.00 to your bank account next week. This mail might come to you as a surprise and the temptation to ignore it as serious could come into your mind but please consider it and accept it with a deep sense of humility. Before proceeding, I wish to introduce myself to you; I am Todd Williams a staff of NatWest Bank Plc here in London , United Kingdom , I am the head of the accounts department. I am pleased to get across to you for a very urgent and profitable business proposal which I believe will profit both of us on completion. I contacted you after a careful thought that you might be capable of handling this business transaction, which i explained below. The sum of (� 18,500,000.00 Million Great Britain Pounds), has been floating as unclaimed since 2000 in my bank as all efforts to get across the relatives of our client who deposited the money have hit the stones. There is this immigrant Mr. Andreas Schranner, property magnate who was based in the U.K., who happens to be one of our very good clients. On the 25Th of July 2000, Mr. Andreas Schranner, his wife Maria , their daughter Andr�a Eich, her husband Christian, and their children Katharine and Maximilian all died in the air France concord plane crash bound for New York in their plan for a world cruise. All attempts to trace his next of kin were fruitless. My position here at my office requires me to investigate and I therefore made further investigations and discovered that Mr. Andreas Schranner did not declare any next of kin or relation in all his official documents, including his bank deposit paperwork in my bank.According to the British Law. The money will revert to the ownership of the British government if nobody applies to claim the fund. To avoid this money being sent to the British treasury as unclaimed funds, I have decided to seek your assistance to have you stand as his next of kin so that the said fund (� 18,500,000.00 Million Great Britain Pounds), would be released in your name as the next of kin and paid into your account. All documents and proof that will have you claim this fund will be forwarded to you without any stress upon your response to this mail more soon, i want to inform you that i have unanimously agreed to offer you (� 7.2M GBP ) of the total sum for the assistance and role you are going to play in this transaction,(� 2.8M GBP )will be given to charity organizations in your country with your supervision while the remaining will be for me. Please send your confidential telephone and fax number in your reply to this business transaction. On behalf of the entire Staff of the Central Bank of Nigeria and the Federal Government of Nigeria in collaboration with IMF and World Bank. We apologise for the delay of your Contract Payment and all the Inconveniences you encountered while pursuing this payment. However, from the Records of outstanding Contractors due for payment with the Federal Government of Nigeria, your Name and Company was discovered as next on the list of the outstanding Contractors who have not yet received their payments. I wish to inform you now that the square peg is now in square hole and your payment is being processed and will be released to you as soon as you respond to this letter. Also note that from the record in my file, your outstanding Contract Payment is US$10,700,000.00 (Ten Million Seven Hundred Thousand United States Dollars). As soon as the above mentioned details are received, your payment will be made to you via diplomatic courier delivery in accordance to World Bank and IMF recommendations. A diplomat with international travel immunity will be contracted to deliver the funds at your doorstep.